I didn’t make any new music lately, but it’s intentional decision. I must admit I’ve been impatient. Wanted to make amazing tunes immediately years ago. It takes a lot of time and practice, though. Over the years I got quite smooth with synthesis and arrangement. Mixdown is an endless yourney. I didn’t take time, though, to learn to actually play any instrument – be it keys, drums or even guitar. I’ve got that Push for over 2 years now and used only most basic features – unike people on Youtube who make entire track with it. For that reason I decided to make entire track with Push only. It might not be suitable for fully-blown melodic trance arrangement, but seems to do well for progressive music. The next track will be 128 BPM and I’ll share it for free – so don’t care what it eventually turns out to be. Then I need to play drum pads and eventually practice more with keyboard. It will all pay back – ability to play ideas from your head can’t be covered with any plugins in existence or technical knowledge. At the same time, I’m expanding my studio this year. The gear will be waiting here till I’m ready. This is the first time I’m in official line-up of any event not hosted by myself 😉 It’s not easy to play any trance in Warsaw, few weeks ago even Adam Ellis ended in half-empty club. So I’m happy that someone enjoyed this set at all. To play live I picked only biggest and trusted tunes. No time to experiment on stage. I like the Pioneer mixer which is different than setup I use for radioshow. Not so precise in terms of frequency, but allows to kill any sound immediatelly. The drawback is that there is no easy way to scroll tracks by a whole phrase, for example. Still, now I feel pretty confident with club-standard setup and look forward to play on some real party. I just couldn’t miss the biggest ever trance festival in Poland, as well as the world’s biggest FREE event this year. 4 stages, lots of top artists, 100% trance. According to hosts, there were 15000 clubbers in there. Check my Facebook photos and videos if you want. I’m not the best camera operator, though. Still striving to perform live. They say practice makes perfect. The mix is far from perfect yet, but there’s no big fail either. People enjoyed it and that’s all that matters. Tracklist was improvised, just trying to pick random tunes in the key and mix them together. Playing with some FX and mixing at fast pace. It’s not the easiest way to play live, but when I improve the skills, it will be amazing. Always have ambitious plans and just try to realize them. Hoping to post some more live mixes in upcoming months. On last week I had a chance to show off my music (not the skills) to some audience, playing live from decks. I can’t tell you the mix is any good, moreover it was recorded in mono. 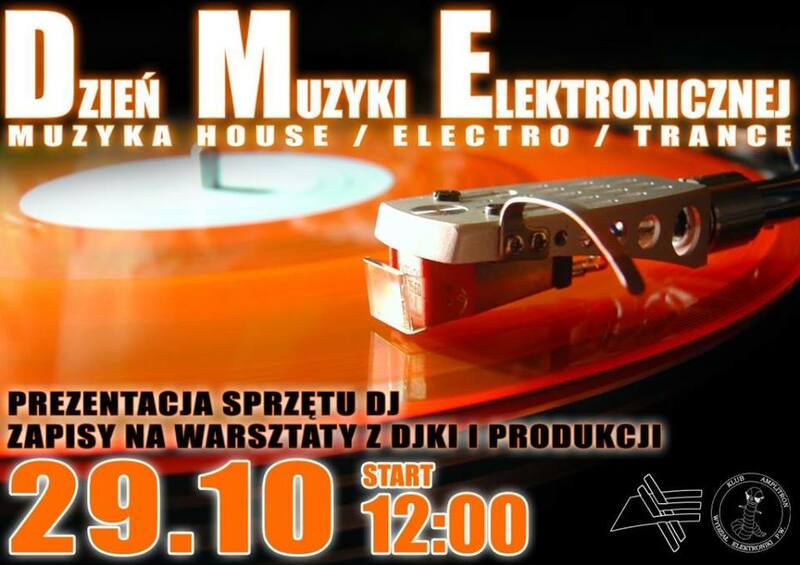 But beginnings are hard 😛 Back in 2006 I also entered UKTA DJ Contest and got honorable last place, but only next year I already launched my own radioshow. Always move forward. Ok, enough for now. Some really massive promo mix coming later, stay tuned.